Alfred H. Moses is the author of the new book Bucharest Diary: Romania's Journey from Darkness to Light. 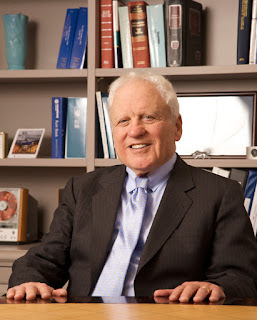 He is a Washington, D.C., attorney and is chair of UN Watch (Geneva). 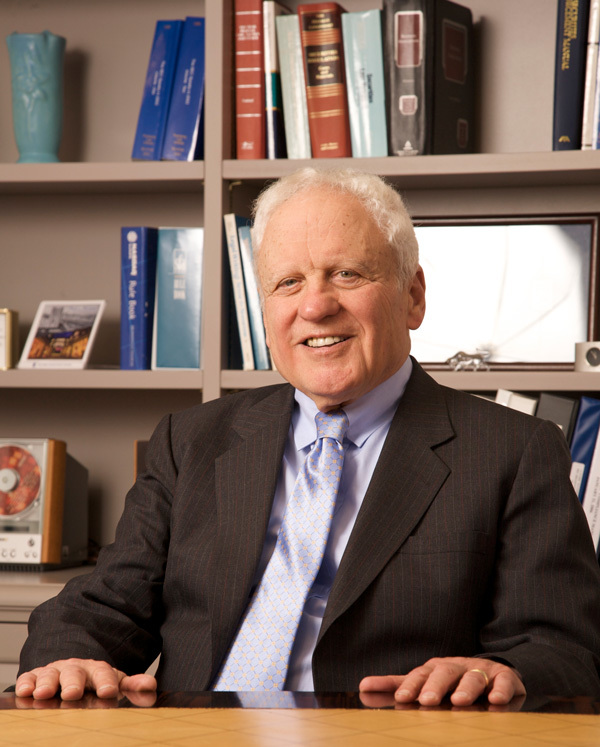 He served as U.S. ambassador to Romania from 1994 to 1997. His work has appeared in various publications, including The New York Times and The Washington Post, and he has written several other books. Q: The subtitle of your book is “Romania’s Journey from Darkness to Light.” How did the country change during the years you served as U.S. ambassador? A: Yes, the country changed enormously. 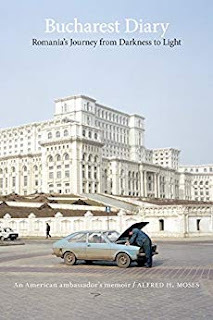 When I arrived, Romania was still in the doldrums of post-communist Eastern Europe, probably at the bottom compared to other former communist regimes in the region. The economy was largely government owned. The country’s political institutions were functioning but wobbly. The military was bloated in numbers, and equipped with antiquated arms of Soviet and Romanian manufacture. The judiciary was a holdover from the communist period. Transportation was vintage-1950s, medical services were wholly inadequate. As might be expected in a country where the media had been tightly controlled and rigidly censored by the communists, post-communist Romania was flooded by a plethora of new newspapers, each trying to outdo the other with irresponsible sensational reporting, creating a giant rumor-mill, and a public not knowing whom or what to believe. Three years later when I left as ambassador, Romania’s democratic institutions had been rebuilt and were functioning reasonably well; a center-right coalition government was formed after national elections in November 1996; the country had made considerable progress (but still not adequate) in privatizing its large, state-owned businesses; health care had improved and sub-segments of the country’s transportation system had been upgraded, primarily intra-city transportation. The media had settled down but was still largely unreliable. Romania also negotiated bilateral treaties with its two neighbors, Hungary and Ukraine, that settled all outstanding border and other issues. I was centrally involved in those negotiations. Romania was also a full participant in the NATO preparatory Partnership for Peace (PfP) and was on its way to full membership in NATO and the EU. After I became ambassador, Romania closely coordinated its military policy with the United States (that had a large training mission in Romania), and in July 1997 Romania and the United States entered into a formal strategic partnership that later led to the building of a NATO missile shield along the Black Sea in Romania. Q: What first interested you about Romania, and how much time did you spend there before becoming ambassador? A: I first became interested in Romania when I was asked to head a delegation of American Jewish Committee leaders on a three-day visit to Bucharest in February 1976. I returned to Romania periodically thereafter to meet with communist dictator Nicolae Ceausescu and other Romanian officials in a successful effort to persuade them to allow Romanian Jews to emigrate to Israel, to free Christian clergymen in jail in Romania and to allow the Romanian Baptist community to print a new edition of the Christian Bible in the Romanian language. Q: Did you need to do additional research to write the book, or was most of it taken from your notes at the time? A: Most of my book comes from my night notes supplemented by fact-checking and substantial research on Romanian history dating back to the time of Roman Emperor Trajan who stationed two divisions of Romanian soldiers in what was then called Dacia and later became Romania. Q: What do you see looking ahead for Romania? A: Romania is still faced with endemic corruption that discourages direct foreign investment so badly needed in Romania to build its economy. Politically, the ruling Social Democratic Party has become hugely populous, adopting and enacting irresponsible fiscal stimulants and opposing the establishment of an effective anti-corruption regime. Although Romania’s economy was the fastest growing in Europe in 2017, it is not sustainable, built on consumption, not on investment in enterprises or infrastructure which in the long term would better serve Romania. A: I am speaking to numerous audiences in the United States and, starting next summer, in Romania on my book Bucharest Diary and am active in support of universal human rights in my capacity as the chair of United Nations Watch, Geneva, Switzerland, where I will be attending the Geneva Human Rights Summit at the end of this month. A: Yes, it is gratifying that the people I speak to both here in the United States and in Romania confirm my hope that, for a brief time in a far-away country, as the American ambassador I was able to make a difference for the betterment of Romania and improved U.S.-Romanian relations.